1st: I Suzuki struck out looking. 2nd: I Suzuki struck out looking. 2nd: Seattle's Manager J Mclaren ejected by M Dimuro in the 2nd. 7th: I Suzuki flied out to center. 9th: W Bloomquist struck out swinging. 1st: J Lopez struck out swinging. 3rd: J Lopez grounded out to third. 5th: J Lopez singled to shallow left. 7th: J Lopez struck out swinging. 1st: J Vidro doubled to left. 3rd: J Vidro singled to center. 5th: J Vidro struck out swinging. 8th: J Vidro doubled to left center. 1st: R Ibanez grounded out to second. 3rd: R Ibanez grounded out to second, J Vidro to second. 8th: J Reed grounded out to first, J Vidro to third. 3rd: A Beltre doubled to deep left, J Vidro scored. 6th: A Beltre singled to left. 8th: M Cairo flied out to left, J Vidro tagged out at home. 2nd: R Sexson struck out swinging. 3rd: R Sexson grounded out to third. 6th: R Sexson grounded out to third, A Beltre to second. 9th: R Sexson flied out to right. 2nd: W Balentien singled to center, A Beltre to second. 4th: W Balentien struck out swinging. 6th: W Balentien struck out swinging. 2nd: J Burke struck out swinging. 4th: J Burke grounded out to shortstop. 6th: J Burke grounded out to third. 9th: J Burke walked, W Balentien to second. 2nd: Y Betancourt singled to shallow left, A Beltre scored, W Balentien to second. 4th: Y Betancourt flied out to right. 7th: Y Betancourt flied out to right. 3rd: D Jeter lined out to right. 5th: D Jeter hit by pitch. 5th: D Jeter walked, C Moeller to third, M Cabrera to second. 3rd: B Abreu grounded out to second. 5th: B Abreu singled to shallow left center, D Jeter to third. 5th: B Abreu singled to left center, C Moeller and M Cabrera scored, D Jeter to third. 7th: B Abreu struck out looking. 3rd: A Rodriguez grounded out to second. 5th: A Rodriguez grounded into fielder's choice to third, D Jeter out at home, B Abreu to second, B Abreu to third, A Rodriguez to second advancing on play. 5th: A Rodriguez singled to shallow center, D Jeter scored, B Abreu to second. 8th: M Ensberg flied out to center. 2nd: H Matsui singled to center. 4th: H Matsui singled to center. 5th: H Matsui singled to center, B Abreu and A Rodriguez scored. 5th: H Matsui grounded into fielder's choice to shortstop, B Abreu out at third, A Rodriguez to second. 8th: H Matsui popped out to shortstop. 2nd: J Giambi walked, H Matsui to second. 4th: J Giambi doubled to deep left, H Matsui to third. 5th: J Giambi singled to right center, H Matsui to second. 6th: J Giambi flied out to right. 2nd: S Duncan homered to left, H Matsui and J Giambi scored. 4th: S Duncan flied out to center. 5th: S Duncan struck out looking. 6th: S Duncan fouled out to catcher. 8th: S Duncan walked, J Giambi to second. 2nd: R Cano flied out to left. 4th: R Cano doubled to shallow left, H Matsui and J Giambi scored. 5th: R Cano singled to shallow left, H Matsui scored, J Giambi to third, R Cano to second advancing on throw. 8th: R Cano safe at first on error by second baseman J Lopez, J Giambi to third, S Duncan to second. 2nd: C Moeller grounded out to shortstop. 4th: C Moeller struck out swinging. 5th: C Moeller singled to center, J Giambi and R Cano scored. 6th: C Moeller fouled out to first. 8th: C Moeller struck out swinging. 2nd: M Cabrera flied out to left. 4th: M Cabrera flied out to right. 5th: M Cabrera reached on infield single to shortstop, C Moeller to second. 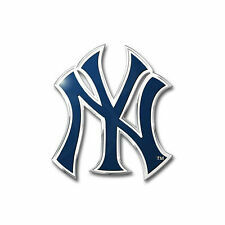 All Andy Pettitte needed to get back in a groove were a few innings against the Seattle Mariners.